Are you looking to whip up a quick prototype for your client? Or are you new to Angular and you want your playground applications to look pretty? No matter what your reason is, you can make your application look better with Bootstrap. After covering the process of transforming Angular services to ES6 classes, and digging into how injection works with ES6 classes, it’s time to take a closer look at controllers. 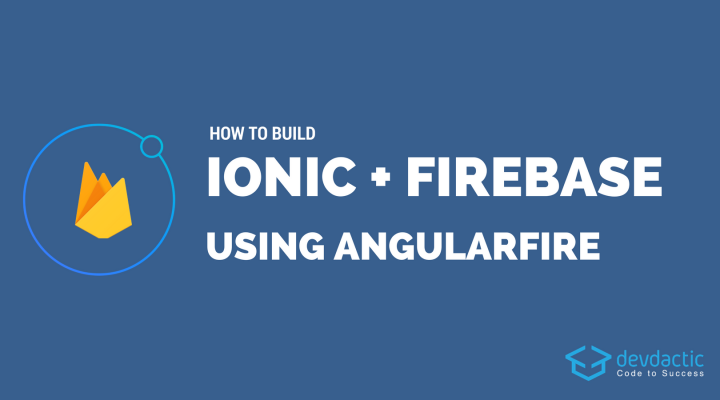 When it comes to building an Ionic app with a solid backend, the current choice for many people is Firebase. And for reasons. The process of connecting an Angular app to Firebase is fairly easy in combination with the great AngularFire package, which is currently at the state of a release candidate for a new version 4. We will be using that version to build a simple cloud based shopping app with Ionic and Firebase! In this article Netanel shows us how to implement Auth Guard with componentless route in Angular. In this tutorial the author is going to show us how to create a simple catalog mobile app with Cosmic JS and Ionic Framework. Many organizations have large AngularJS 1.x applications deployed to production. These applications may be built by multiple teams from different lines of business. They may use different routers and state management strategies. Rewriting such applications all at once, or big bang migrations, is not just impractical, it is often impossible, and mainly for business reasons. We need to do gradually, and this is what this series of articles is about.